This section includes all of the reference charts that you can imagine from Wall Charts, 8 1/2 x 11 Charts and Wallet Cards. We even carry the Flash Cards for Muscles and Skeleton. If you are a Massage Therapist, Physical Therapist, Spa Director or Chiropractor, then you will love this selection. 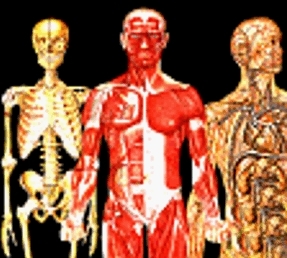 We have over 80 Anatomy and Reference charts to chose from. Just browse through the different categories and sizes for the chart you are looking for! Need to show that massage client exactly what muscle they pulled? Find a tight spot during your massage? Then check out the Muscle Man or Trigger Point charts. These charts are a massage supply must!